Some of you might remember my rose photos from last year as I documented the two or three buds as they bloomed until they reached their prime in a vase. I was so pleased with their beauty and perfect shape. 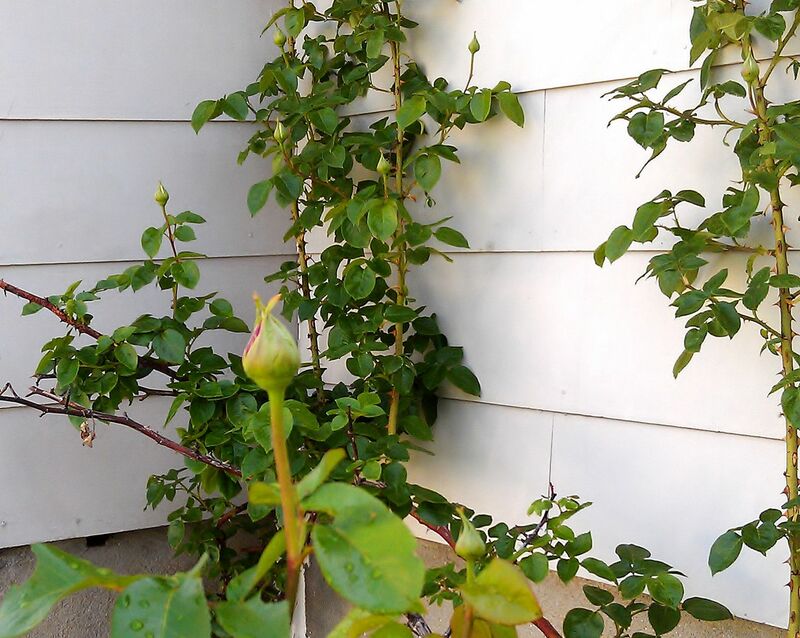 My mother had given me that rose bush a few years ago and it didn’t bloom until last year. I love flowers but I’m not a gardener. My husband is always joking about my planting intentions yet my lack of care afterward. I’m just the type to expect nature to take care of itself. 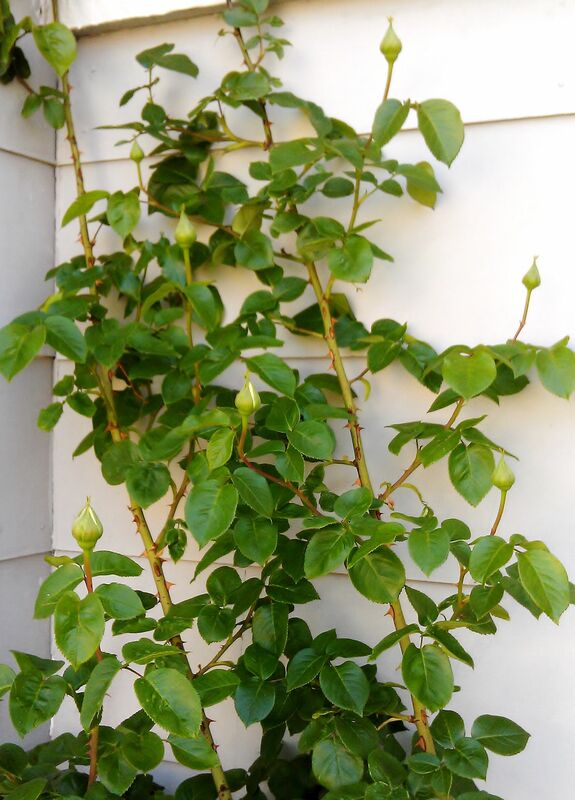 Earlier this spring I noticed how long and straggly the rose branches had become, where some areas had died and weeds were choking at the bottom of other branches. I decided to do a little pruning and tidying up, not much, just what I knew would not hurt the bush. As I drive around town I have noticed that it is an especially lush spring. Everything is in full bloom right now, trees, bushes, flowers, with a wide range of colors. We had an early season, a lot of rain, and just enough sunny days to give growth a boost. I’d like to think this lovely spring is an omen for a prolific year in other ways. I’ll call that Mother Nature’s encouragement to believe in possibilities. My Mom had an amazing garden, it was her pride and joy. She passed away last year but I’d like to think that she’s watching this rose bush grow (and ignoring the rest of my yard). I hope it’s giving her as much happiness as it’s giving me. That rose is very happy. You may be right about it getting a little extra special help. I’m checking every day to catch the first bloom. I love that near-parting parenthetical. I hope this does indeed portend a year of a prolific year! So far it has been a more promising year than last year.